Living on my wine laurels I had not purchased an edition of World Atlas of Wine since its 3rd back in the early eighties. Geographically and geologically the world may have not changed much physically; but what mankind has done on the surface is significant. This 400 page tome written by eminent British wine writers Hugh Johnson and Jancis Robinson covers the basics of grape varieties, wine making, the use of oak, winery design, weather and climate, terroir, and the enjoyment of wine. There’s even a nod to the use of smartphones for wine tasting notes. 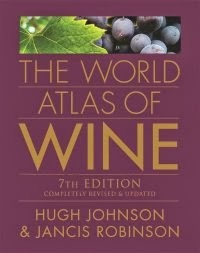 The meat of the book lies in its elegantly written prose on the wine regions and its visual design of the maps. Many images on both the print and digital format incorporate well designed infographics – which seem popular with the tech savvy. From a wine prospective this latest edition maps and explores the great strides in wine production in Yamanashi (Japan), Ningxia (China) along with Croatia and the Caucuses. Phenomenal growth in New Zealand lead to a 6 page increase in print real estate, along with South Africa (5 pages). A 15% increase in North American content includes 2 pages on Virginia and New York’s Finger Lakes. The up and coming State of Texas did not get as much attention. There are now over 215 maps an increase of twenty since my edition. Increased mapping of California, Spain, and Greece add to the extended knowledge base of the book. Sadly my adopted home, British Columbia, only gets one page along with Ontario. It was nice to see the simplistic Okanagan map was up to date with two producers to watch; Joie Farm and The Okanagan Crush Pad. Although no map references where given to the Fraser Valley and Vancouver Island. My country of birth, England also merited one page, but the opening line “Climate Change” could sadly change that in future editions. 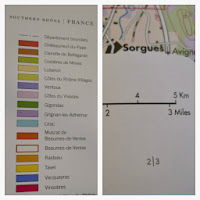 During the 80’s my wine trade time at Oddbins allowed me to read geography along with cartography. The maps especially in the digital IPad version are of keen interest to me. Maps, like pictures, are worth a thousand words; they frame a region with a sense of place and terrior. The cartography team behind this book did a great job conveying the sense of place with a series of regional, macro, and micro scale maps. Overall the maps follow proper cartographic protocols. Key elements are clearly labeled (vineyard boundaries, points of historic interest, and key landmarks). 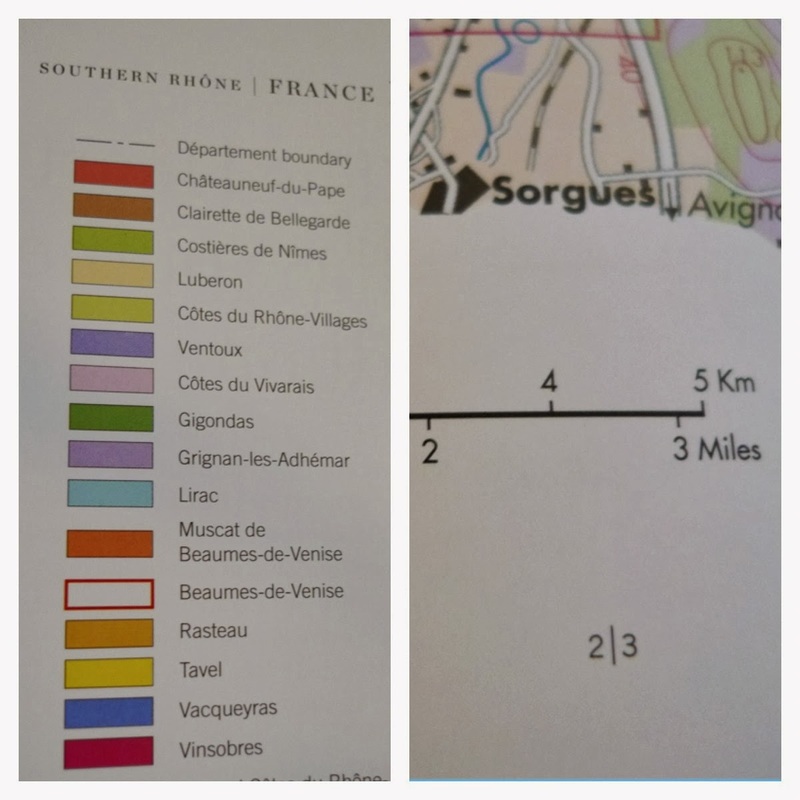 Each map has a clearly defined graphical scale bar, along with good graphical hierarchy (line weights, colour, layers, and easily to understand and clear symbology). Legends are easily found and understandable. Map colouring was well conceived. A few friends with colour blindness Colour Vision Deficiency (CVD) found the maps easy to read. Some maps on the regional scale lacked altitudinal shading making it hard to visualise the geography of some countries i.e. New Zealand’s South Island, and California. This was made up great detail in the small scale maps. Map truth or accuracy is bang on. 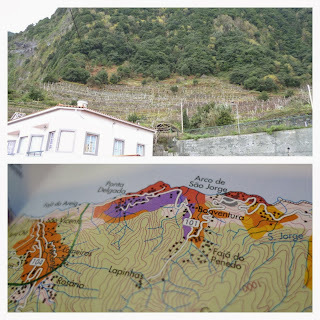 My last wine trip to Madeira to Ponta Delgada to visit some Sercial vineyards was accurately represented on the map. The book starts with France and ends with Japan and China. Future editions could be intriguing. The hardback version is available at leading retailers and on line for $60Cdn and $24.95 for the IPad version at the Itunes store. I purchased the hardback versions for home use and the digital version for staff training and perusing while commuting. The World Atlas of Wine is a must buy for anyone in the wine trade, a wine lover, or aspiring cartographer. It is a concise, accurate, and a joy to read.